“What’s that?” asked my husband. “I think it’s a bird nest!” I said. We were on a walk in a forest preserve near our home on a crisp and sunny spring morning when we spotted it. I walked over and picked up this completely intact nest that was still attached to a fallen tree branch. I couldn’t believe how perfect it was and that it hadn’t been destroyed in the previous night’s storms. We carried it home and I knew I had to paint it. This nest was such an amazing find!! 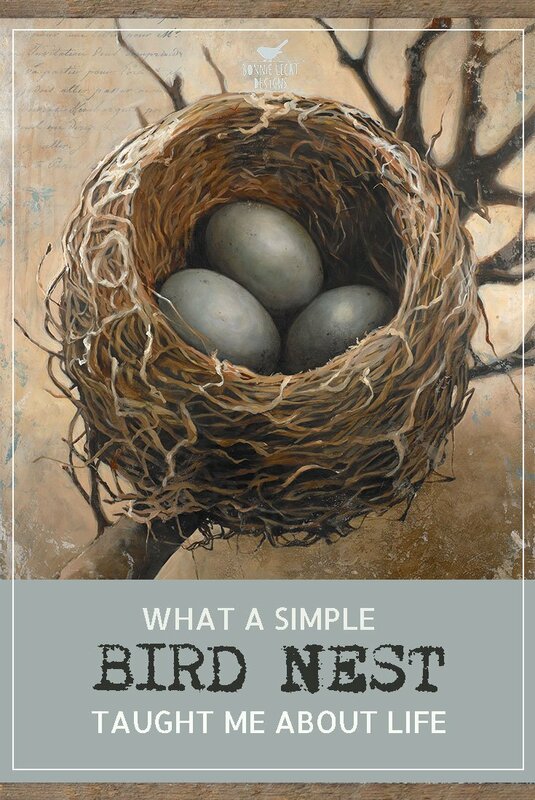 While painting the nest with all its tangles and twisty curves, I became lost in thought and it occurred to me that this simple little collection of twigs, grasses, and dirt told a powerful story. It was at the same time both very delicate and very strong because of how it was assembled. 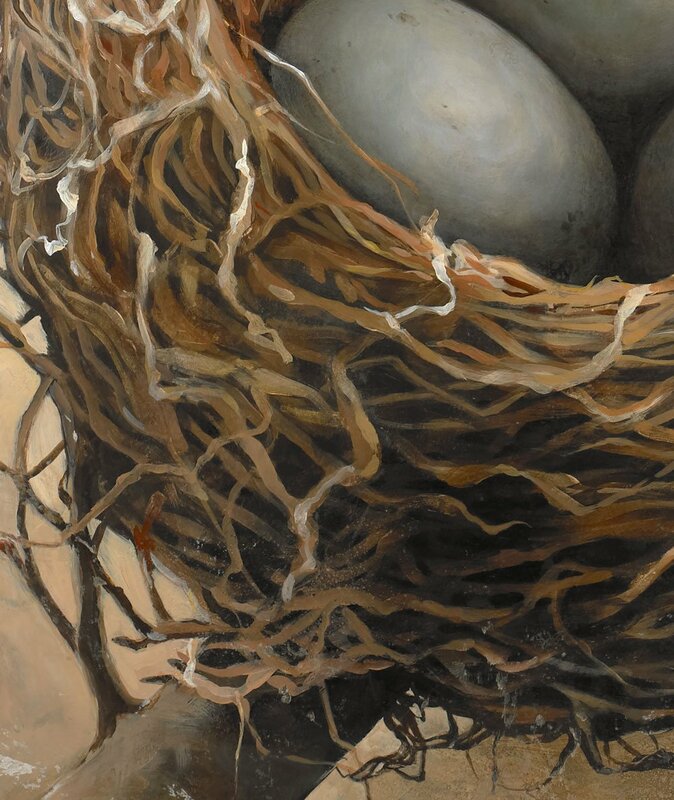 I began to consider how amazing it is that when some dried twigs and grasses are put together in a new way, they can gain a completely new purpose and become strong enough to protect and support the new life that is contained in the eggs that it holds. 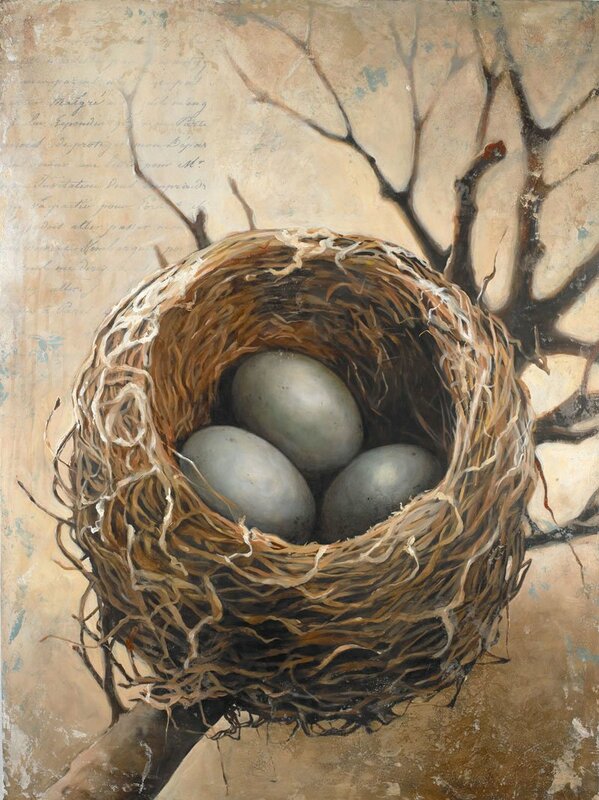 Completed 18” x 24” acrylic on panel nest painting with three eggs added entitled “Three”. 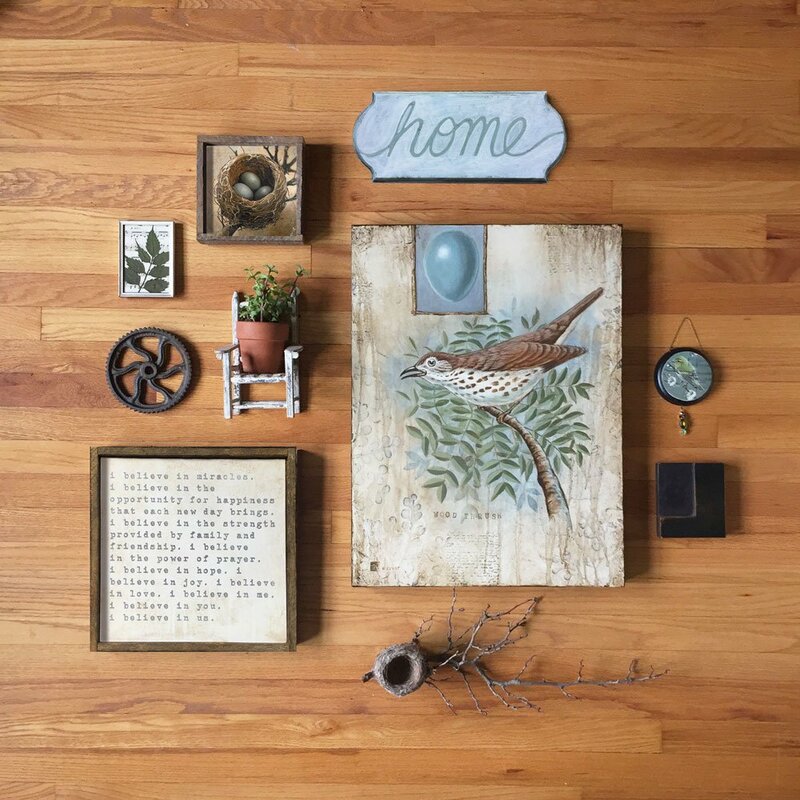 In this little nest, I had found the perfect symbol for “FAMILY” and “HOME”. Have you ever been inspired by something you’ve seen in nature? Have you ever looked at a flower or a cloud or raindrops running down a window pane and had an A-HA moment? I’d love to hear about it in the comments below.